It’s the weekend! Time to get out there and give your Richmond fence a once over! If it’s been awhile since you inspected, cleaned, or made minor repairs to your fence, now is the time to do so. Get your Richmond fence in great shape for summer with these tips in our blog this week. Get that white picket Richmond fence looking beautiful this weekend! The first thing to do is walk the length of the fence and perform an inspection. Look for damage that may have occurred over the winter. The winter is a tough time for any fence, as continuous exposure to cold temperatures, wind, rain, snow, and ice can take its toll. Take note of any areas where you see any rotting, warping, sagging, rust, corrosion, or flaking of paint. 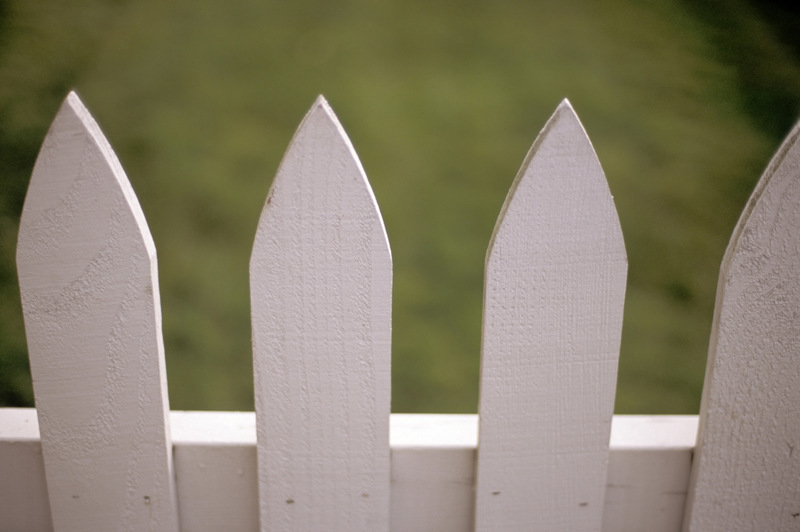 Once you’ve inspected the fence, get the necessary tools and take on those minor repairs! If the damage is major, don’t take it on yourself. Get help from a Richmond fence contractor like Hercules! Once the repairs have been made, it’s time to give the fence a good cleaning. As a general rule, a good cleaner for most fences is a mix of warm water with a mild detergent. But check with the manufacturer of your fence for any specific cleaning instructions, as if you don’t follow these instructions you could potentially void the warranty. This is especially important when it comes to power washers. If you’re going to rent a power washer to clean your fence, read the fence manufacturer’s instructions very carefully. Power washers can damage a fence if used incorrectly. Now that the fence is clean, it’s time to protect it! In this case, we’re talking mostly about wood fences, which may need to be sealed, stained, or painted. Make sure you allow the fence to dry completely before you do any of these projects. Another thing you can do to protect not just a wood fence, but any Richmond fence, is pruning. Prune back any bushes or vegetation growing near the fence. Over time, vegetation tends to work its way in and around the fence, which slowly weakens the fence. It’s also a good idea to cut back any limbs that overhang your fence. This will prevent them from breaking off and falling on the fence. Hercules Fence of Richmond has been providing professional fence installation and service in Richmond for more than 50 years. Call us at (804)752-7992 or contact us on our website to learn more about privacy fence in Richmond. This entry was posted on Friday, May 22nd, 2015 at 2:34 pm. Both comments and pings are currently closed.